M - Bumper. 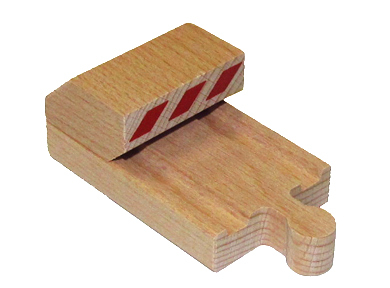 Use these bumpers of buffers to keep your wooden trains from running off the end of the track. Also for capping off parking stalls for the trains your not using.